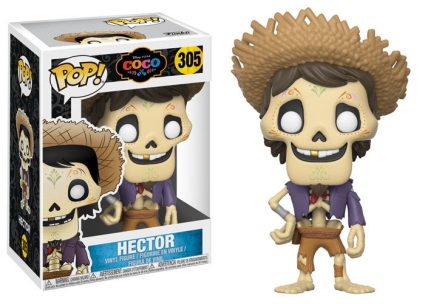 No tricks here, only the charming 2017 Funko Pop Coco debut. The Disney Pixar set features Miguel, a 12-year-old who wants to become a musician despite his family's wishes. 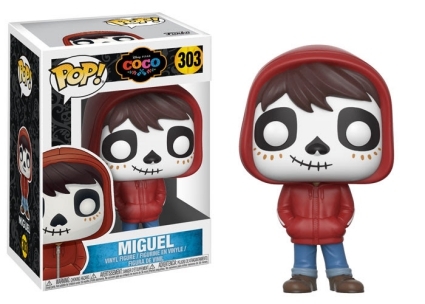 The main Funko Pop Coco figure for Miguel highlights his time in the Land of the Dead as he wears Día de los Muertos (or Day of the Dead) face paint. 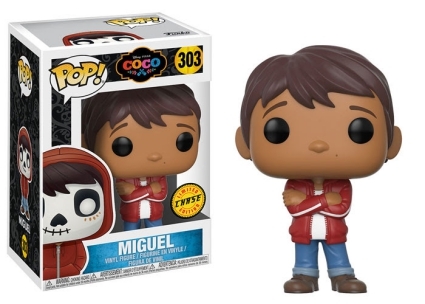 Miguel without the paint, along with his red sweatshirt unzipped, is a chase variant that averages 1:6 boxes. Shop for Funko Coco Figures on Amazon. 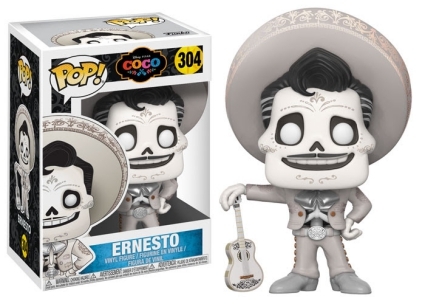 In addition, Funko Pop Coco includes Miguel's musical hero, and great-great-grandfather, Ernesto, who stands with a guitar by his side. Fairly unique, Ernesto's coloring is not quite black-and-white, nor is he sepia, as the hat rim almost shimmers and hints of red are seen on his jacket and pants. 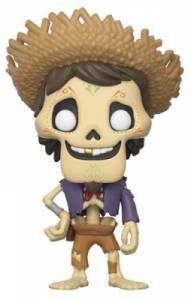 Helping Miguel on his journey in the Land of the Dead, the skeleton Hector wears a straw hat and torn clothing, while his smile reveals a gold tooth. A Pop! 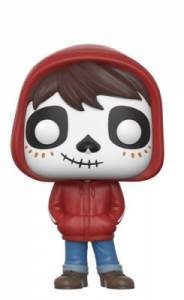 Disney entry, the entire Funko Pop Coco series is only available at Hot Topic and Toys R Us outlets. 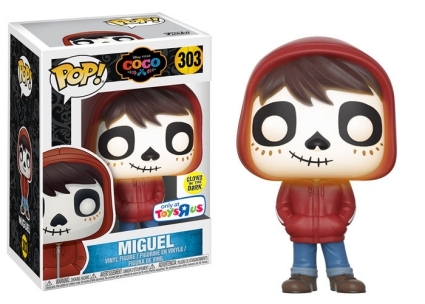 However, collectors should note that the Miguel glow-in-the-dark variant is exclusive to Toys R Us. FUNKO POP! COCO: ERNESTO #304 - Disney Pixar - FREE POP! Protector!